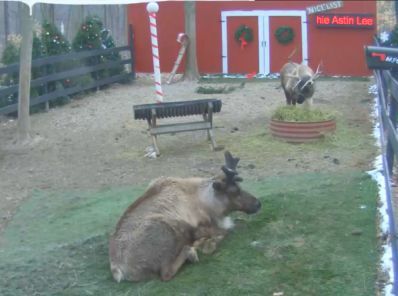 Freedom Rockz: Hey Kids Watch Santa's Reindeer Live! 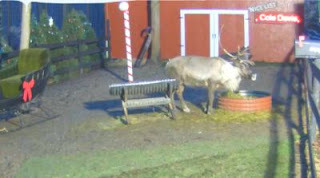 Hey Kids Watch Santa's Reindeer Live! Hey kids don't forget to watch Santa's Reindeer Cam Live. Make sure to log on at the times when Santa comes to feed the Reindeer. This is a fun idea for those moments of boredom while the kiddies are on Christmas break! Woot! Mom high five.. lol Click the link below to go to the Reindeer Cam website.